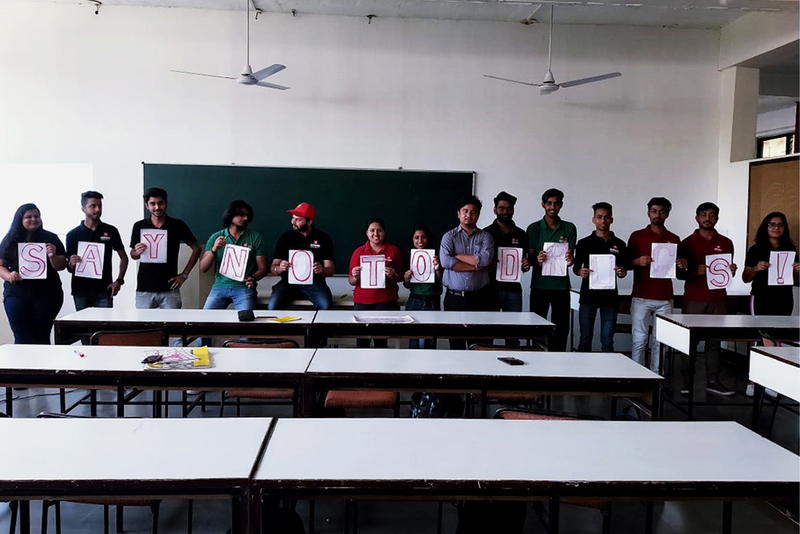 An awareness session under ‘Buddy Program’ on Anti Drug Campaign was organised for Chitkara School of Planning and Architecture students (3rd Year, Semester VI) on April 4, 2019. The session included a brief presentation by Asst. Prof. Prateek Dhasmana regarding the symptoms and harmful effects of different types of drugs, and measures that can be taken in case of drug abuse. Following the presentation, students collectively made a poster supporting the cause and advocating the message that ‘we should all say no to drugs and yes to life’.